Enter Blog | Buy it Now! Alan Cook and Jackee Marks are pleased to announce the publishing of Alan Cook - A Puppet Collector’s Odyssey as told to Jacqueline Marks with Dimitri Carter. 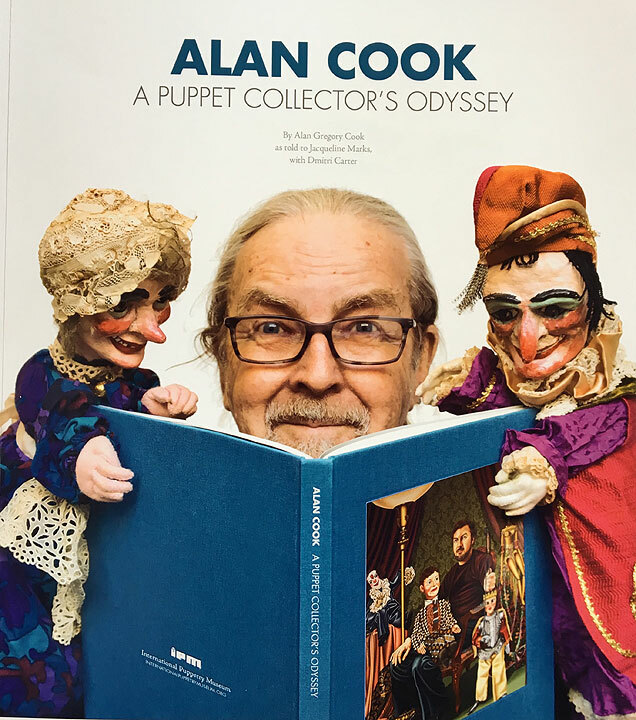 The book is filled Alan Cook’s delightful stories of his puppet collection and how Alan has acquired it. The hard bound “coffee table book” (10” x 12”) contains 200 pages and includes approximately 100 full color images. There is a limited amount of hand-signed books so don't delay. To find out more about the book please visit our Puppetry BLOG Party! Copyright © 2008 IPM, All Rights Reserved.